TORONTO, ONTARIO, CANADA, December 24, 2018 /EINPresswire.com/ — Remodeling a kitchen can be a daunting task, and a lot of people may not even know where to begin. Before starting, you should always do your research, talk to friends who have had their kitchen renovated, or read some online blogs and articles. They can help you get your bearings for what’s about to come. It is important to keep in mind that remodeling your kitchen is an expensive undertaking, so you must make sure that you’re going to love the outcome. When it comes to the design of your new kitchen, you should review upcoming trends, and look for newer styles and ideas that you like. If you base your new kitchen off old models that you like, you may inadvertently devalue the renovation by going with a dated style. This will take away any additional value that a renovation adds to your house as any new home owner may feel they already need to redo the kitchen. 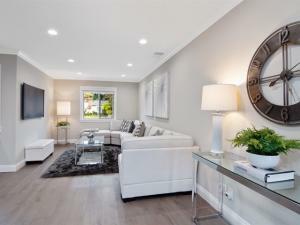 Focus on newer styles and up-and-coming trends that you like to maximize your investment. So what trends should be paying attention to, and what are going to be the hottest kitchen style for 2019? We’ve listed out top picks below for you. Granite counter tops have been a staple of high-end kitchens since the 90’s. Their popularity has been dwindling over the past few years in lieu of other choices, like quartz and polished concrete. There is a classy appeal to a clean, white kitchen, but it can also look cold. People are trending towards warmer looks and turning away from white. 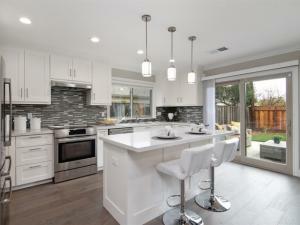 As people move away from bright white kitchens, earthier tones are becoming more popular. These can provide a much richer look that is more sophisticated. The smooth, slick look of a matte finish has been picking up over past few years and will continue to be a trend into 2019. 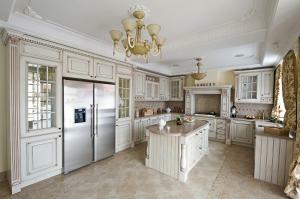 Matte cabinetry and appliances are attractive, and ultimately easier to maintain. Along with the moodier tone trend, we’re seeing more high-end kitchen renovations being done with darker base colours coupled with earthy undertones. This provides a finish that is a bit harder to pull off but looks elegant when done right. Again, fitting in with the earthier undertones, the resurgence of Spanish tiles comes back in as people move away from clod, white looks to more colourful and vibrant designs. Spanish and Moroccan tiles have been coming back in a big way and provide intricate patterns and can really make your backsplash pop. The cozy Danish concept of Hygge has been catching on and is creating a new inspired kitchen design. People want a kitchen that is a place to relax and enjoy company and cooking. Decluttered, clean, and organized should always be in style. Removing molding and heavy finishes and using clean lines can give a more contemporary look that is style. An in-depth look at the life of the Toluca Lake restaurant’s talented executive chef. LOS ANGELES, CA, UNITED STATES, December 19, 2018 /EINPresswire.com/ — Q: Hello Brendan, it’s a pleasure to speak with you today. Mind telling me where were you born? A: Not at all. I was born in Southern California. Culver City. Q: So, when did you first become interested in the art of cooking? A: It stemmed from my interest in eating, actually. I also travelled a lot as a child and got to try out many different types of foods. My father worked for an airline, so I travelled internationally quite a bit. Q: Where did you begin your cooking journey? A: I originally cooked for my family and did some bartending until I was 20, and then I went to the California School of Culinary Arts. Q: While you were there, was there a specific type of cooking that fascinated you? A: I just wanted an overall education in the art of cooking, and to learn as much as I could. Q: What was the most surprising part of learning formal cooking for you? A: I learned that less-processed food actually takes more work and discipline. I was very surprised to hear that. Q: With the pressure of running a large kitchen, it can be possible to let things slip every once in a while. How do you stay concerned about quality? 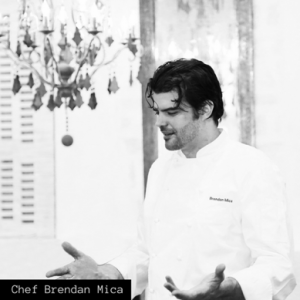 A: Maintaining quality has always been my priority as a chef, no matter the circumstances. It’s something I’ve always carefully worked on in my career. Q: After school, where did you go next? What was the next step in progressing your career? A: While I was going to school, I actually did some cooking at the Lowe’s in Beverly Hills. That way I could get on-the-job experience while still being in class. Q: I’m seeing that you were in Spain for a while. What did you do there? A: I was a private chef for a Sony executive, who is actually a family friend. I was there for 6 months, during which I cooked private meals and catered. Q: How did you ultimately end up at your current job? A: After Spain I went to Germany, where I worked at a French-German restaurant. I came back to the United States and opened up my own restaurant in California. It started out great, but then it got an identity crisis because it didn’t know if it wanted to be a night club or restaurant. Q: That does sound unfortunate, but it’s great to see that things are going great for you now. Did any mentors help you along the way? 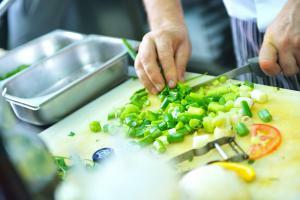 How important is a mentor in becoming a great chef? A: Extremely important. They are the people that keep you driving and grounded. They constantly push you. It’s one of the few reasons you work harder all the time, not because you want to impress them, but because it gives you something to strive towards. Q: Finally, what is it you hope to achieve in your current work? A: I feel like this is the first time I’ve been able to do my type of cuisine, my type of menu. I’ve always accommodated a type of cuisine, but now I can choose the food I want for the space. I’m excited to work at the Santuari Restaurant, and I only see good things coming to this venue in the near future. The holiday season is here, but there’s still time to write a letter to Santa. Now, what do you think an e-marketplace would want for Christmas? Launching a marketplace is a long-term affair. Once you start there is no going back. A marketplace requires human, material and financial investment. Its digital platform must be well thought out and have long-term value. When launching its brand, a business needs a dedicated team to make the brand viable and sustainable. Patience is the mother of all virtues. Beyond financial investment, patience is what helps a marketplace to develop; it calls for fundamental changes in terms of business model, marketing, investment in logistics, and cash management. Creating and deploying a marketplace affects all aspects of a business. Employees require a structure in which they can adapt to this new type of organisation. A marketplace requires time, not to mention capital and human resources. The investment is potentially huge depending on the complexity of its platform and its position in the market. It takes resilience to become the perfect marketplace. A marketplace is born in one of two ways: either it is created with a strong business model, offering its know-how and expertise in time-to-market and technology. This type of marketplace would not sell any products or services under its own brand. The other type of e-marketplace graduates from being an e-merchant to a business that offers a greater choice of products through third-party sellers. The goal of a marketplace is to be a sort of Ali Baba's cave where customers can find the products and services they seek – or simply discover. The importance of sellers should never be underestimated: They help the e-marketplace enrich its original offering by adding to its catalogue. We may ask the question: is it better to offer value-added services or a richer catalogue? Supplier-oriented marketplaces that attract third-party sellers are desperately seeking buyers, and to attract customers they need a large choice of goods from a variety of sellers. A marketplace has a more promising future when its primary activity has been clearly defined and its customers are loyal. The “pure player”, however, earns money only as a middleman who needs to attract its prime sellers (e.g. by offering a discounted referral fee). If the goal is to motivate sellers to operate through its platform, the marketplace must be careful to spread its revenue volume in order not to depend solely on a few vendors. E-marketplaces can make the best possible sales offer by gaining a good understanding of the sellers’ business model and work methods. On the consumer side, a marketplace has to be inventive by renewing its commercial offer and forever surprising its buyers. Airbnb is a perfect example. This marketplace boasts not only rentals but also other services like classes in flamenco dancing or paella cooking classes in Barcelona. Uber now proposes meal delivery. The look and feel of its website interface, the ease of browsing, quick response time, rich features and the latest apps all contribute to making the customer experience unique. The catalogue aside, buyers are focused on the total quality of service provided by the marketplace. This means keeping a customer in the same online purchasing environment from the moment he or she saves an item in the shopping basket up until the time of purchase. Customers don’t want to feel cheated. One-stop shopping must be a reassuring, unforgettable, quality experience. A marketplace must consider all conceivable purchasing scenarios and adapt the customer experience accordingly. It also has to offer payment methods that match the type of purchase and kind of customer, along with the appropriate logistics. Customers should not walk away dissatisfied because of a bad experience. To increase transparency and continuously improve the customer experience, more and more marketplaces are offering rating services. Reviews allow them to evaluate their sellers, limit the risks of product return, hence refunds (and chargebacks). Ultimately, by pursuing excellence a marketplace will earn its stripes as a trusted third party in the eyes of the consumer. The business model for online marketplaces is in its infancy. It is an evolution of the first e-commerce that soared to success between 1995 and 2015 and witnessed the growth of online payment methods and fintechs that manage all the online data flow. We are in a newly formed economy in which many payment businesses still consider marketplaces as UFOs. In fact their sales concept is still far too recent for all the players to fully grasp, especially since it involves a number of important regulatory constraints. Given this new e-commerce trend, the traditional chain of payment (issuer > payment methods > acquirer > processor) is facing enormous challenges. A new marketplace must be robust and ready to defend its business model because many payment service providers would rather throw in the towel. Welcome to a world where national regulators are unable to reach a common agreement. They require payment service providers to enforce procedures that comply with the Anti-Money Laundering and Combating the Financing of Terrorism (AML/CFT) program because of collections for third parties. It is not uncommon for payment service providers to pass the buck to marketplaces when it comes to managing sales accounts, monitoring transactions and fraud, changing general terms and conditions, internal procedures, etc. A marketplace needs the right tools to ensure efficient payment. Yet few new marketplaces will have learned the rules of the game. So be careful! You need experts who can deal with all the technical, legal and organisational parameters. Beware of the holiday season traffic: your marketplace business model could quickly collapse under its own weight. Selecting the right service providers to make life easier and boost your sales is no mean feat. And that’s half the battle. The hard part is to attract more sellers for even more customers. Choosing the right partners is what success it’s all about, so choose them carefully – and avoid a Christmas fiasco! Reset Summer Camp for adolescent gaming addiction and unhealthy screen-time overuse was featured on NBC’s Today Show last Friday, December 7th in a segment on “video game rehab.” Camp Executive Director Michael Jacobus discussed the issue of teen tech addiction affecting many families with NBC’s Joe Fryer and described how his program helps to resolve it. Parents featured in the segment revealed that they have frequent arguments with their children about playing video games. This phenomenon is not unusual. In fact, the founder of the ultra-popular video game Fortnite reports that more than 200 million people have registered accounts, a number that is up 60 percent since June. CommonSense Media poll results indicate that 61 percent of teens have played the battle-attack video game, and 24 percent of those parents are concerned about the amount of time their child spends playing. Video games are just one aspect of the problem though. “We have observed that the majority of campers arrive to our program GLUED to their phones,” says Jacobus. At Reset Summer Camp, teens experience a fun-filled summer camp program full of activities and excursions, without any digital interruption or distraction. In addition to positive peer socialization, they learn life skills like cooking and doing laundry. Importantly, teens are also taught healthy tech habits. Jacobus recommends that families set limits for gameplay, social media and other internet use. His camp features a Family Weekend and 90-day aftercare program to help emphasize that and other key components to moderation. Comedy Central’s Daily Show also offered a light-hearted jab at the program and Jacobus responded with an offer to come to the show to better explain and share the challenges and struggles of gaming addicted kids. Reset Summer Camp is a fully immersive, residential four-week, clinical program hosted on a college campus, with a fun-filled, summer camp atmosphere. Teens “detox” from their screen addictions and learn how to self-regulate while participating in individual and group therapy. The life skills focused program creates understanding and builds self-confidence so that campers will be able to handle real-world responsibilities. Staff include experienced youth-development professionals, clinical interns, registered nurses and private-practice mental health PhDs who work daily with teens suffering from problematic use of technology, gaming addiction and other unhealthy screen-time habits. For more information, email info@resetsummercamp.com. GREENWICH, CT, UNITED STATES, December 17, 2018 /EINPresswire.com/ — With Christmas just around the corner, most everyone is looking for "stocking-stuffers." What better way to usher in the holidays than with sliced porcini mushrooms from Gourmet Living? Its premium-grade sliced funghi porcini and sold in an elegant 50-gram bag. 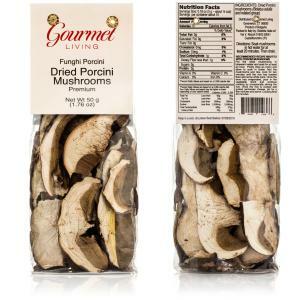 Until the end of this month, buyers can purchase Gourmet Living's premium grade porcini mushrooms for $ 17.50. The mushrooms normally retail for $19.95. Free shipping is provided on all orders. Porcini mushrooms are widely used in Italy to flavor risotto, stews, and soups. Porcini mushrooms are treasured by chefs around the world for their unique flavor and texture. 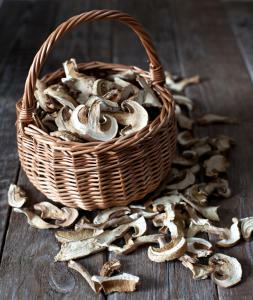 Says co-owner Sheila May, "I agree with Marcella Hazan that dehydrated porcini mushrooms are far more flavorful than fresh porcini. The texture is as important in my cooking as aroma. 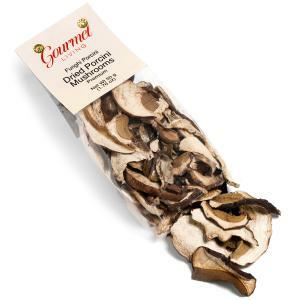 Therefore I am thrilled to use these premium grade sliced porcini in preparing stews and risotto for my Italian friends." Funghi porcini are considered to the "crown jewel" of mushrooms. It is not surprising that fresh porcini mushrooms disappear rather quickly. In fact, it has become almost impossible to find either fresh or dried porcini in sufficient commercial quantities for export. If you are looking for an elegant way to express your gift-giving creativity this holiday season, funghi porcini from Gourmet Living could be the perfect gift. Need help getting started? Try this great recipe from Marcella Hazan for risotto with funghi porcini. If you are looking to make a culinary statement this holiday season, Gourmet Living's extra virgin olive oil from California is a special gift. GREENWICH, CT, UNITED STATES, December 17, 2018 /EINPresswire.com/ — Gourmet Living's 2017 vintage extra virgin olive oil from California is a great gift for discerning "foodies." Harvested from the picual olive, this first-pressed EVOO is the most popular olive oil sold by Gourmet Living. Notes Sheila May, the owner of Gourmet Living, "We are focusing our efforts to promote Californian olive oils. Sadly, consumers feel misled by large conglomerates who have deliberately misrepresented inferior oils as 'extra virgin.' California has far more stringent controls." Extra virgin olive oil (“EVOO”) is at the heart of the Mediterranean diet and many Americans are now discovering the nutritional benefits of using olive oil in their diets. Production of olive oil in California has increased dramatically in recent years as many health-conscious Americans now substitute EVOO for butter. The health benefits of using extra virgin olive oil remains a very controversial subject. The proponents of the benefits olive oil suggest that the regular use of olive oil can reduce heart disease and may help control diabetes. Others maintain that these “health benefits” are not supported by clinical trials. Nevertheless, both sides of the nutritional debate argue that eating fresh fruits and vegetables (commonly eaten with EVOO) are healthier than consuming factory-processed foods. Sold in a distinctive 500ml bottle, Gourmet Living has changed both the shape of the bottle and the cap to provide buyers with a better experience. A bottle of EVOO will normally last for a year after it has been opened for the first time and stored at room temperature out of direct sunlight. EVOO is far more labor intensive than the production of other vegetable oils. 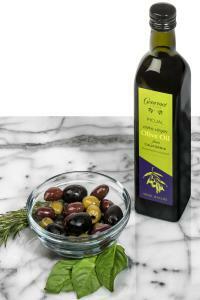 Prices for an authentic and certified 500 ml (17FL oz) bottle of EVOO can vary between $15 and $40. Not all oils labeled “extra virgin olive oil” are truly harvested and bottled under the protocols established by the International Olive Council. Good quality oils from reputable producers in Italy, Greece and Spain tend to be more expensive. 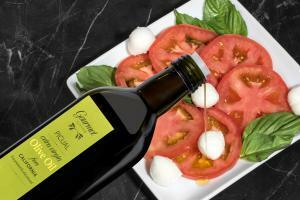 This California EVOO is ideal for salads or roasted vegetables. The picual olive has a light taste that won't overpower other flavors in one's cooking. With free shipping, make the holiday special for those gourmands on your gift list. Gourmet Living has made available a guide of Frequently Asked Questions about Buying Olive Oil that can be downloaded from their website. Energy Efficient Passive Inspired Design. Custom cabinet with Induction BOSCH range. CA Building Code adopts Net-Zero Energy by 20/20. Explore this Energy Efficient home and save hundreds per month now by combining rooftop solar and Heat Pump. — Mohan Mahal – SIDCO Homes Inc.
SAN JOSE, CALIFORNIA, USA, December 14, 2018 /EINPresswire.com/ — Invest in SIDCO – (Sustainable Innovative Design & Construction) home and enjoy the comfortable environment and best indoor air quality in a Energy Efficient Home. Net Zero Home produces more energy than it consumes over a period of one year. Homes uses renewable energy produced by Solar panels which are prepaid and are included in price the house with a 25 year warranty. SIDCO Homes may provide allowance for the lease of an electric car of your choice thus taking one more car off the road that uses combustion fuel. 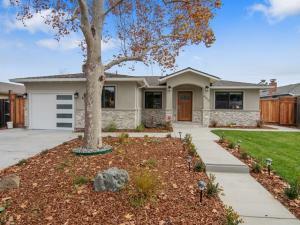 But why do all this – Visit this home at 4910 Kenlar Drive, San Jose, Ca. 95124 or contact Francine Terrell at 408-202-5875 for personal viewing. Here is the rest of the story. Mohan Mahal – Founder & CEO of SIDCO Homes is "Thankful to the Donor for a Gift of Life." for receiving a Heart Transplant 25 years ago. Till today I do not know if I got inspired or my new Heart that gave me new life got inspired by Dr Wolfgang Feist in Germany to build Passive Homes. A passive home is a rigorous, voluntary standard for energy efficiency in a building’s ecological footprint. It results in ultra low-energy buildings that require little energy for space heating and cooling. Passive Houses allow for space heating and cooling related energy savings of up to 90% compared with typical building it makes efficient use of the sun, internal heat sources and heat recovery, rendering conventional heating systems unnecessary throughout even in the coldest of winters. How do we achieve these results in a remodeling project. 1. Make sure your walls and attic are well insulated. : – The house was taken down to the stud level and framers installed new walls where needed. Title 24 modeling was done to make the attic space as the closed sealed attic. Closed cell spray foam was used to seal the walls and the under the roof. This provided insulation and sealed all the openings to make the house airtight and Energy Efficient. 2.Upgrade or replace windows: – We replaced and installed all new double pane windows with the low u value. to keep the inside worm during winter and cool during summer months. The windows are sealed and made air tight. 3. Replace an older furnace with a high-efficiency system: – This is the most significant part of the Net Zero Home to conserve the energy. Typical homes have the furnaces using the gas for heating and air conditioning for cooling. SIDCO now has moved on to the Heat Pump technology which is more efficient than the furnaces. It provide the heating and cooling for the property. The power for these units are provided by Solar PV's. 4. Improve the efficiency of your hot water system: – The conventional systems have been water heaters keeping the water hot at all times. We have converted this house to the Tankless water system with a recirculation pump with enough capacity to supply the home with three bathrooms and a kitchen. There is new copper plumbing in the house and all the drain lines have also been replaced and installed. 5. Replace incandescent lightbulbs with LED lights: – This house has 100% LED lights in all the rooms. We have also use motion sensors in the bathrooms as needed by code to conserve the energy. In addition to this we have all new electric wiring in the whole house. 6. Install new refrigerator and appliances: – To improve the quality of the air in the house we have used BOSCH new appliances. The stove is induction cooking range which uses energy only when the pot is placed on the stove. To maximize the use of the Solar PV power the Washer and Dryer for this house is Miele Electric. 7. Installation of the new Roof:- The house has a complete new roof with 50 year warranty of Presidential Elite roofing material with OSB underlayment. 8. Totally Landscaped with water conservation drip system: – A project tis not complete till you give it a good curve appeal. We have the property completely landscaped for the family with water conservation plant and drip system for irrigation. There is a complete walk way around the house with concrete patio and storage area. 9. Schedule an energy audit: – Once the house was built and the doors and windows installed we got the blower door test done and applied for the US Departments's Home Energy Report. Once we got the result we were very proud of our accomplishment of building a home that got the highest score of 10 out of 10. Where does the saving come from when you invest in a SIDCO Home? A typical homeowner with four bedrooms and 2.5 baths and four occupants spends on an average $200 on the energy bill about $200 for driving a gas car and another $200 on the payment or lease of car. SIDCO – Homes are built with: – Solar panels installed and paid for with a 25-year warranty with electric bill less than $50.00. SIDCO may provide the allowance to pay for a two years lease on an electric car and the house has a 240 volt 40 Amp outlet installed for charging thus a saving of hundreds per month. Please help us mitigate the climate change one house at a time and invest in the SIDCO Homes and enjoy the comfort of a Passive Inspired Energy Efficient Home. This is Energy Efficient home with indoor air quality index of less than 50 during the Paradise fire. 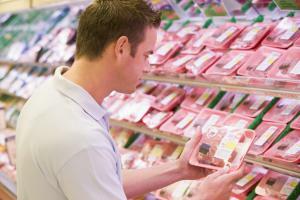 To be a food safety smart consumer, stay informed about food recalls and alerts. FDA food recalls also include pet foods. Feed your pets safely! Foodborne illness is no joke, as can be witnessed by the recent nationwide ban on Romaine lettuce issued by the Centers for Disease Control and Prevention (CDC). Harmful pathogens have become an ever-increasing threat in our food supply, causing serious illness and even death among people with weaker immune systems such as young children and older adults. In 2011, the CDC estimated that each year, roughly 1 in 6 Americans (or 48 million people) gets sick, 128,000 are hospitalized, and 3,000 die of foodborne illness. The facts are staggering: As of November 28, the Food and Drug Administration (FDA) has issued approximately 95 food recalls, market withdrawals and safety alerts involving foodborne illness during 2018. That is almost 2 per week, and many have affected people in multiple states. You may be surprised to learn that the FDA’s list includes products from nearly all food categories! In fact, we’re going to list them here: tahini, breakfast cereal, cheese, asparagus, cake mix, pistachios, veggie sandwiches, twice-baked potatoes, ice cream, ham rolls, biscuits, rolls, salads, subs, ham, macadamia nuts, cage-free eggs, dry whey powder, bread, crackers, cracker sandwiches, pasta salad, poke kits, sprouting mix, vegetable trays, fresh melons, frozen broccoli, frozen whole tilapia fish, fruit mix, organic nut mix, wild Coho smoked salmon, microgreen mixes, ice pops, smoked salmon spread, romaine lettuce, eggs, organic amaranth flour, coconut, pastries, coconut flour, nutritional yeast, pumpkin seeds, deli products, alfalfa sprouts, chia seeds, cardamom pods, pork, bison, cream cheese, and frozen green beans and mixed vegetables. If you’re a pet owner, you should also know that the FDA’s list also includes 25 pathogen-related dog and cat food recalls and alerts in 2018. Many of these items were of the “raw” variety. Foodborne illness in pets can be just as serious and life-threatening. As Stop’s holiday gift to you, here are ten things you can do to be knowledgeable about foodborne illness and help keep your family safe. 5. Learn about others’ experiences: http://www.stopfoodborneillness.org/stories/. 9. 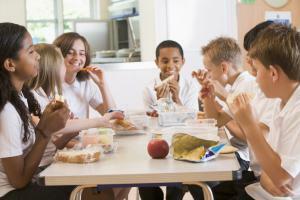 Know who to contact if you or your family members contract foodborne illness. If it is serious, don’t be shy—call 9-1-1. 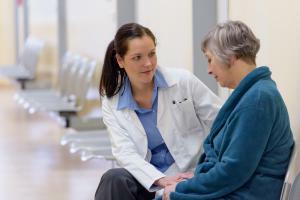 When you visit your doctor or clinic, make sure you encourage them to consider a foodborne pathogen as the cause of the symptoms. Help make others smarter about food safety! We encourage you to share your own foodborne illness story: http://www.stopfoodborneillness.org/take-action/share-your-foodborne-illness-story/. Your story may help others avoid being a victim and provide much needed moral support to those experiencing the same things. May you and yours enjoy a happy, safe and healthy holiday season and New Year! VILLANOVA , PENNSYLVANIA , USA, December 12, 2018 /EINPresswire.com/ — Entrepreneur Brian Newmark specializes in business development, sales team management, and digital strategy after taking on a number of ventures at an early age. Today, he relies on his complex range of skills to grow numerous ventures in many competitive markets. Since finding success in startups in his 20s, Brian Newmark has launched a dozen ventures and created a solid reputation for longstanding businesses. Not all of his ventures have found their proper footing, but his tenacity and optimism are benchmarks to his success, which he encourages every entrepreneur to adopt. His business interests vary, with ventures ranging from financial services and real estate to a small chain of Indian restaurants in and around Philadelphia, and with a variety of other businesses along the way. Finding success in as wide a variety of ventures as Brian Newmark has requires an intrinsic business savvy and a willingness to fill multiple roles to see a project to completion. 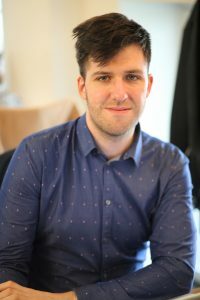 In the past, Mr. Newmark has proven expertise in business development, financial service, digital strategy, public relations, marketing, as well as sales expertise (among other skills). Brian Newmark has served as President and CEO of a major marketing company whose annual sales exceeded $60 million. In this role, Mr. Newmark was challenged daily to create solutions to complex problems that ranged from typical process issues to large, operational problems.